You never know if your car’s going to be stolen, it literally is luck of the draw! That was the basis of this National advertising campaign. 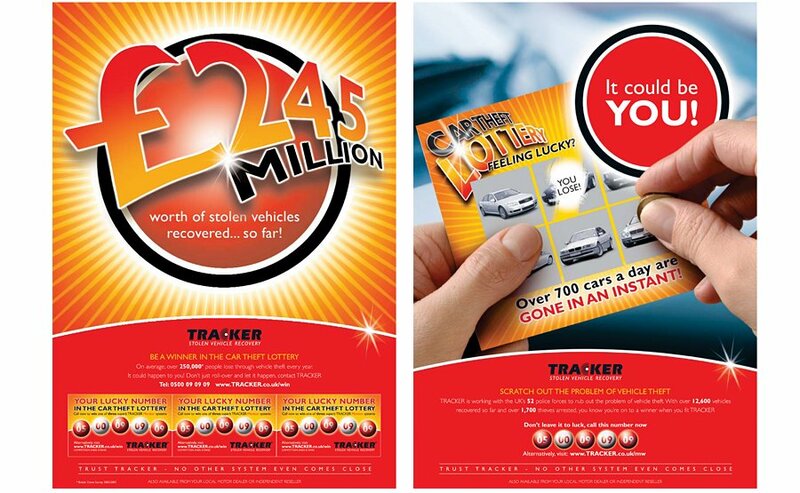 Using shocking statistics to highlight the scale of the car theft issue in the UK, we designed the creative treatment as a pastiche of the National Lottery style of advertising, because it could be you who has you car stolen next. Each advert appeared in National press and as washroom posters in motorway service stations across the country.